There are hopeless romantics, and then there's Matt Andersen, who is romantic enough to make you feel hopeful. 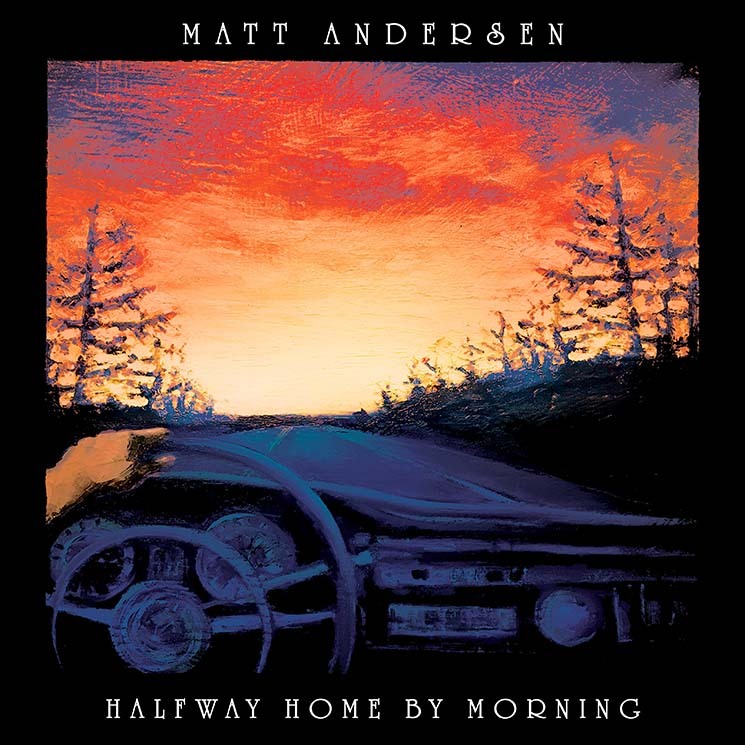 Just try not to be swept up by the endearingly earnest East coaster's ballad "Been My Last," from his new album Halfway Home By Morning. It features heartwarming lines like "If I'd laid eyes on you / When I was 22 / I would've sold my guitar and bought a ring for you." Such a sacrificial sentiment has all the more heft when you hear his soaring guitar solo, teamed with a horn section accomplished enough to sound like an orchestra. "Better Than You Want" finds the New Brunswick troubadour pledging plaintively: "I'm gonna try to be better than you want me to be" as gospel-style backup vocals and swaggering saxophone punctuate his heartfelt singing. That backing band is indeed in prime form on songs like "The Bed I Made," (whose organ notes curtly bellow with melancholy), "Gasoline," (an environmental anthem that finds the horn section blurting like a New Orleans brass band) and "Something to Lose," (which boasts piano notes plaintive enough to make you waltz without a second thought).